Celebrating an enviable half-century milestone, William Turner, supplier of premium quality school ties and accessories, is excited about 2019 as the company brings new eco-products, a new scarf and primary book bag to the market. As a renowned family business, William Turner has been supplying schoolwear retailers across the UK and abroad since 1969. From humble beginnings, the business has grown considerably but the core family values of honesty, service and dedication remain firmly cemented in place. The new tie factory in Nelson, Lancashire, opened in 2018 which reinforces the company’s commitment to UK manufacturing and will be cemented even further with increased tie production capacity planned for 2019, together with additional capacity for cap embroidery. As part of an ongoing commitment to sustainability and the environment, William Turner has two great new additions to its water bottle range. EcoPure biodegradable water bottles are made from friendly plastics that help to keep the world clean when thrown away by using the biodegradable technology in their DNA. This 500ml translucent water bottle is a must-have for school and comes printed with a name bar and care instructions in black. Made from BPA Free polyethylene, the EcoPure bottle is also recyclable and dishwasher friendly. 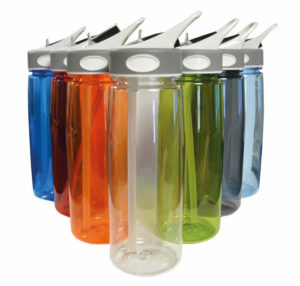 Choose from an array of lid colours: black, bottle, emerald, gold, maroon, navy, pink, purple, red, royal, sky blue and yellow. Although not biodegradable, the new Tritan water bottle is also a bottle for life. This polyethylene (BPA Free) bottle is ideal for senior schools and/or clubs with its 800ml capacity and is available in a wide variety of colours: clear, dark blue, grey, light blue, lime green, orange and red. It has an easy to use straw and folding rubber spout. Available from stock plain and with printed drinking timeline. All water bottles within the William Turner range can be overprinted with a school logo. With the Eco-Schools programme, William Turner has seen an increase in requests for school ties to be made from recycled yarns and this is likely to continue in 2019. Newlife is a certified and fully traceable polyester yarn with a sustainable identity. It is produced entirely in Italy through a mechanical (not chemical) process which reduces the amount of plastic bottles in our oceans. Something that William Turner is thoroughly committed to supporting. The recycled eco-friendly yarn uses lower energy consumption and CO² emissions due to a faster dying process, therefore it is an innovative and environmentally protective yarn. 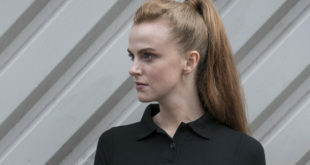 Eco-tie fabric is woven in the UK and then William Turner manufactures the ties in its own UK factories in Skipton, North Yorkshire, and Nelson, Lancashire. 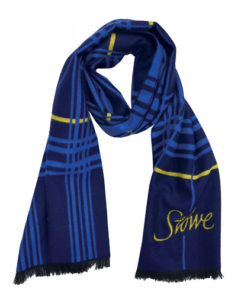 William Turner’s winterwear range also continues to grow with the introduction of a new poly viscose Executive Scarf. This has a luxurious feel but without a hefty price tag and is already proving a hit with both schools and clubs since its launch at last October’s Schoolwear Show. It is currently made to order but there are plans to stock in plain colours ready for back to school 2019. In February, William Turner plans to launch a new style book bag for primary pupils. This ideal starter bag will be available in all the popular school colours and is suitable for print and embroidery. With another successful Early Bird order book, 2019 is already shaping up to be another busy and exciting year for William Turner. 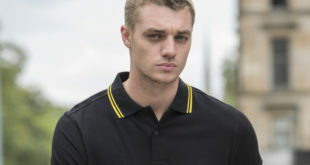 With 50 years of service to schoolwear behind the company, William Turner is well placed to be your trusted partner for schoolwear accessories.